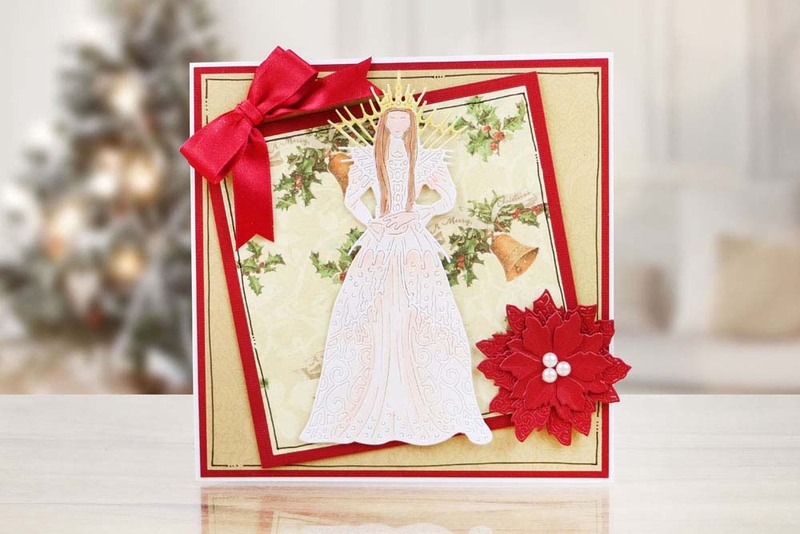 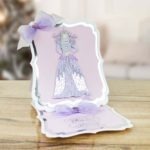 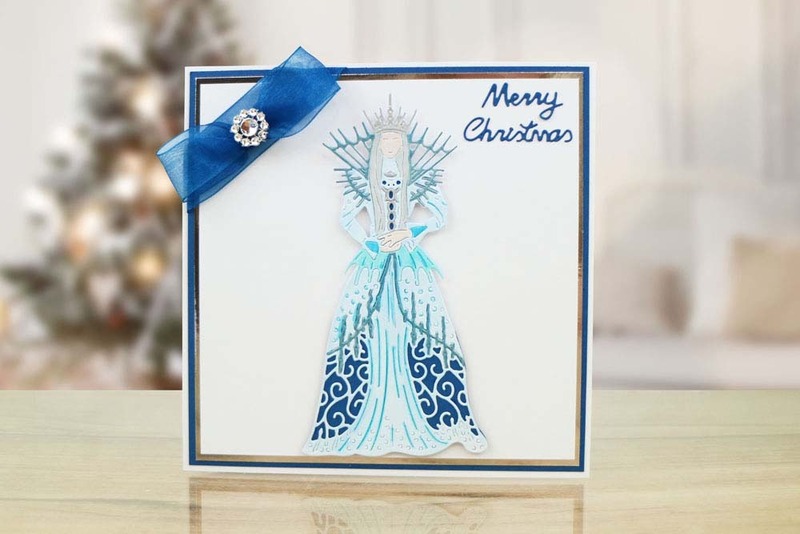 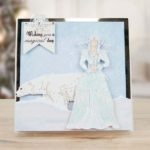 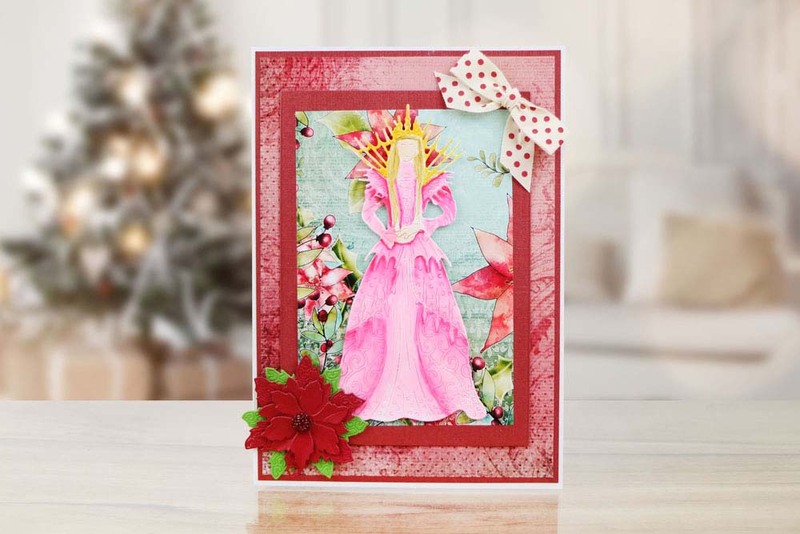 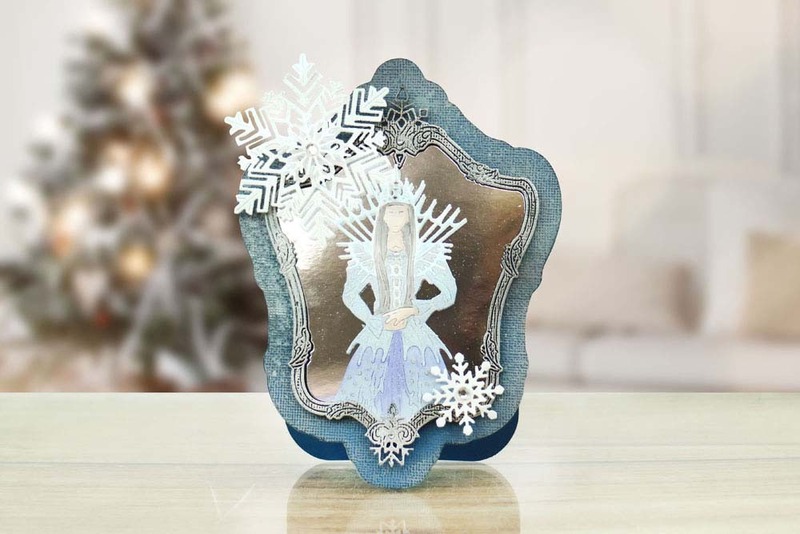 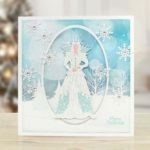 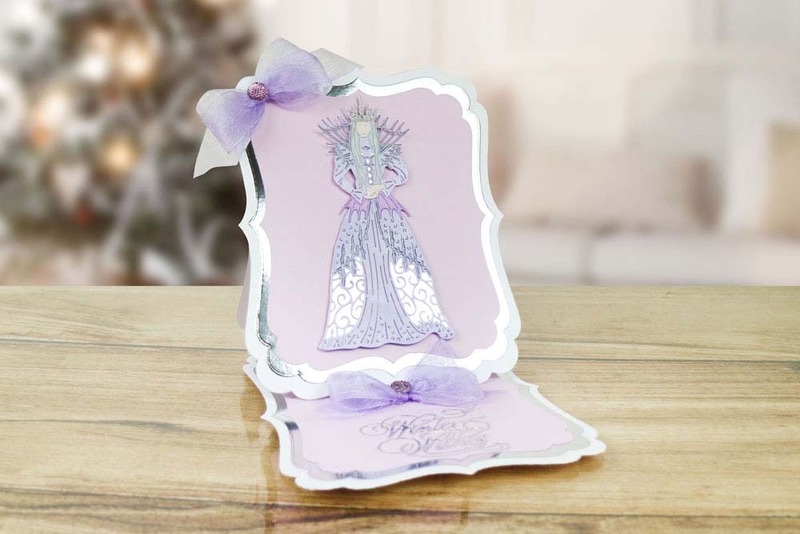 The Tattered Lace Queen of Snowflakes die features a detailed fantasy Queen with a headdress, drapery, cut out swirls and crown making an absolute stand out piece for your card and other project fronts. 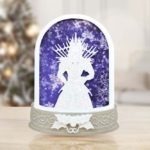 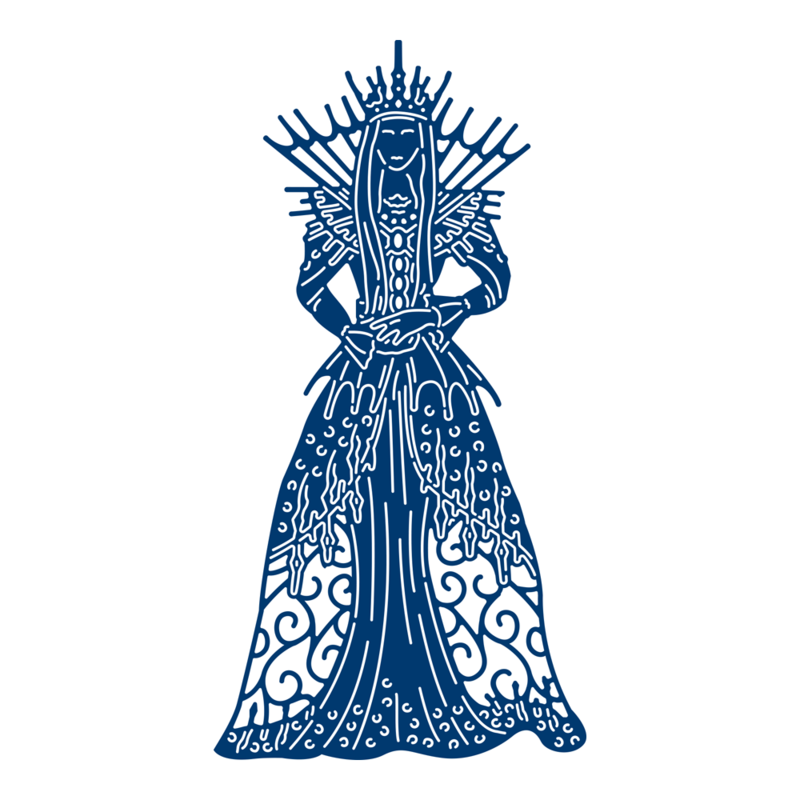 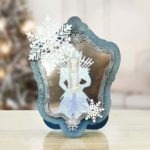 You can use this die as a Snow Queen, great for any festive winter and fantasy themed projects or simply snip away the Queen’s cloak to create a Princess topper great for any child’s project. 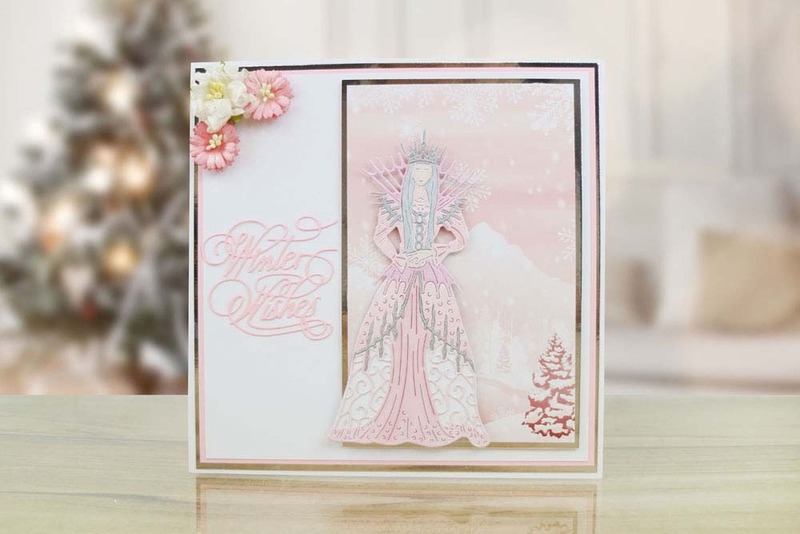 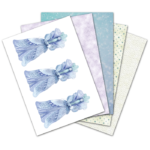 Use pastel markers to create beautiful winter theme throughout your project or use bolder brighter colours for more everyday Fantasy Princess Projects, add some Tattered Lace Crystal Glitter for that extra sparkle and a more wintery feel. 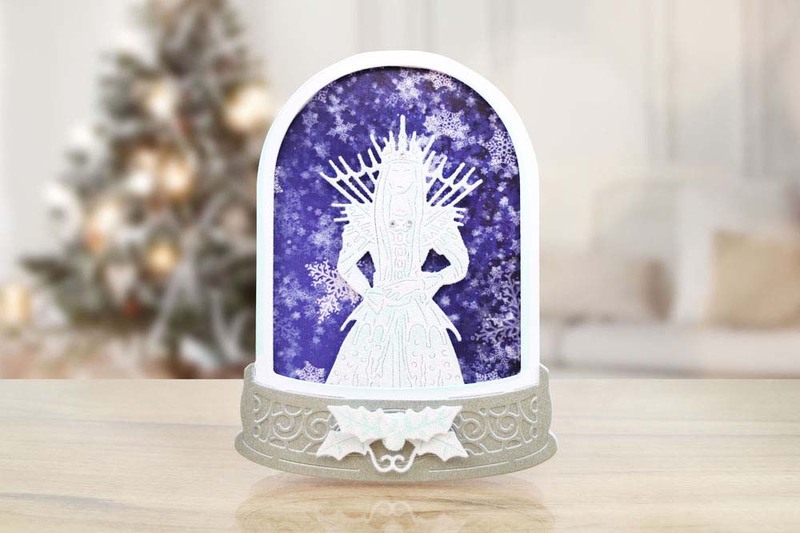 This die measures approx 7.7cm x 15cm. 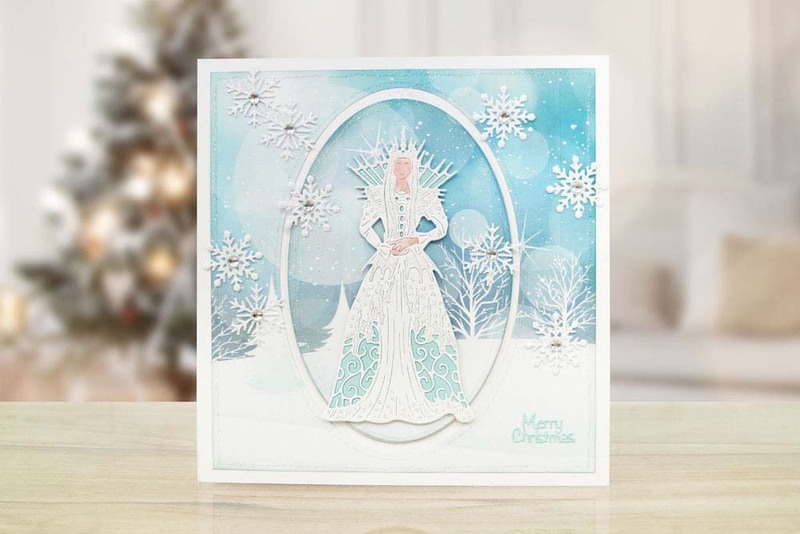 This product is part of the Fantasy Christmas Collection.